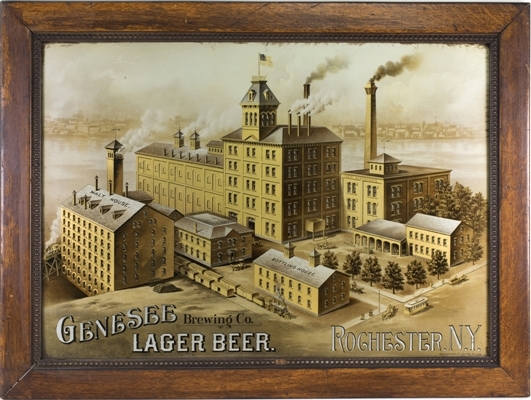 Pictured here is a nice reverse on glass factory scene from the Genessee Brewing Company in Rochester, New York. 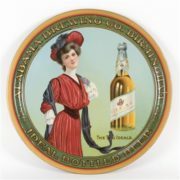 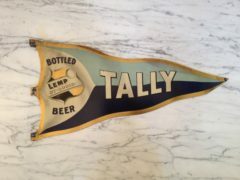 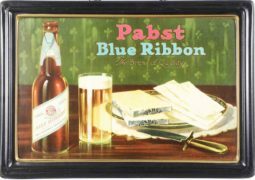 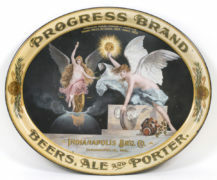 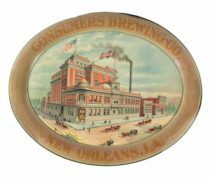 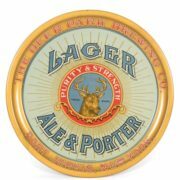 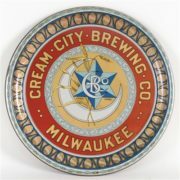 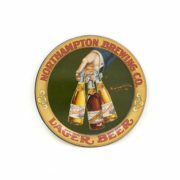 This image is from the pre-prohibition era, circa 1900 and is for their lager beer. 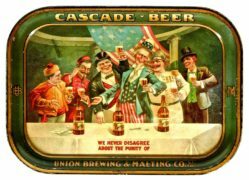 Genessee Beer is still made today in upstate New York, but not in this original factory building.